Shelter on World Animal Week. The children within the World Animal Week were given information by their teachers about the street animals in need of protection and care. 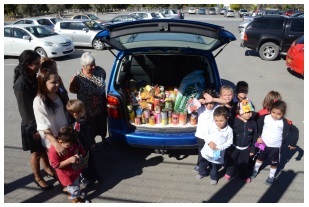 Parents also showed support by donating cat and dog food to the Girne Animal Shelter. Saymaz: “Our Purpose Is To Raise Sensitive Individuals Towards Nature and the Environment. al of the pre-school – Binnur Saymaz stated that their purpose is to teach the children to gain sensitivity at a young age towards nature and the environment and she also emphasized that they could achieve this with the support of the parents. She also mentioned that it is of huge importance to gain knowledge of zoology at a young age for the development of the children. She also said that to raise successful individuals for the future who have adopted a love of nature and animals, is one of their main principles. She stated that this kind of project organization is frequently being held. 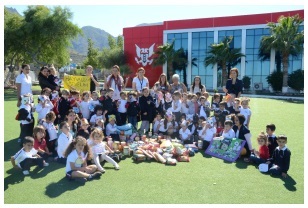 The pre-school children of the American College had brought cat and dog food from their homes and delivered them to the officials of the animal shelter, thus showing their sensibility towards nature and animals. In the statement which was made by the officials of the shelter, they mentioned that it is the first time that a school had approached them with this kind of project and it made them very happy. They also expressed their thanks to all of the students, families and the officials of the American College, and also emphasized the importance of zoology for the people.